I took the wife out to help her find a new car. 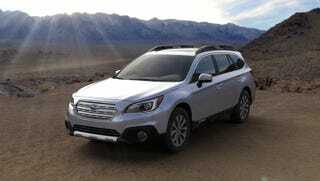 She fell completely in love with the Subaru Outback, though she is neither a lesbian nor a communist. So, now she wants to come up with 30k to buy one. I'm glad I didn't let her drive a WRX STI.